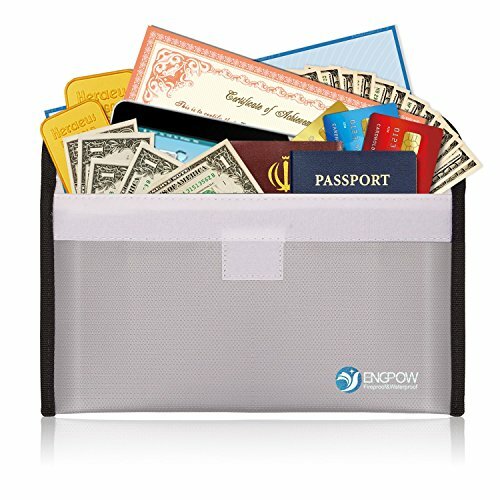 【Security Steward】This fireproof bag safe envelope protects your documents & files including legal contracts, passports, licenses, USBs disks and CDs deeds, certificates, coins, cash, autographs, letters, heirlooms, precious photos,marriage certificate, money and more. 【Easy To Carry】Envelope shape, lightweight design, can be classified to manage your cash, photos, passports and other items, travel carrying is very convenient and does not take up space.It looks like a handbag for both men and women and is the perfect gifts. Very nice, but how can we tell if it works? Perfect size for small things!